The RAC's public meeting in Washington, DC was cancelled due to VA bungling travel arrangements -- again. The half-day teleconference is being held instead. The RAC's full public agenda has been postponed to its June meeting in Boston, which will mark a full year since VA last allowed the Committee to meet. 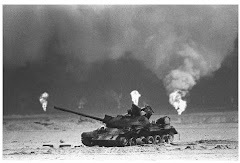 Southwest Asia theater of operations during the Gulf War. discussion of other Committee business and activities. A 30-minute period will be reserved at 4:45 p.m. for public comments. White by e-mail at rwhite@bu.edu. Any member of the public seeking additional information should contact Dr.
Federal Officer, at (202) 443-5682 or by e-mail at victor.kalasinsky@va.gov. WASHINGTON, D.C. — A mysterious illness that has plagued nearly a third of veterans who served in the Gulf War is real, but not well understood, according to an Institute of Medicine report that says no simple treatment exists and customized care offers the greatest promise of relief. The report, released Wednesday morning, calls on the Department of Veterans Affairs to reach out to soldiers who served in that and other conflicts in the Middle East to identify other cases, tailor care individually and conduct studies to see what works. The panel said "chronic multisymptom illness,” the new name for what was once called Gulf War syndrome, has disrupted the lives of about one-third of veterans who served in that short-lived 1991 conflict. It's not known if their symptoms will eventually improve. "The veterans who came home from the Gulf War suffer from a multiple array of long-term, medically unexplained symptoms that we have defined as chronic multisymptom illness," Dr. Bernard M. Rosof, chairman of the IOM panel that wrote the report and board chairman of Huntington Hospital in Huntington, N.Y., told the Deseret News. "It's a serious health condition and that's something we have to understand. "It imposes an enormous burden of suffering — dysfunction in the working environment, dysfunction in the family setting and dysfunction socially," he said. The report said many soldiers returning from conflicts in Iraq and Afghanistan complain of similar symptoms. If it's shown that they, too, have CMI, it could mean many, many more veterans are affected; some 700,000 soldiers served in the Gulf War and as many as 250,000 exhibit CMI symptoms; by late 2011, 2.6 million Americans had served in Iraq and Afghanistan. Existence of the illness has been questioned; the report says bluntly that it exists and must be treated, offering a series of recommendations on improving care. The attitude of doubt even within the VA system "must be changed," Rosof said. "Veterans feel that clinicians don't understand or believe their symptoms and they feel that they don't fully consider the whole person or explore their experience." The study was ordered by Congress as part of a series on the Gulf War and health. To be diagnosed with CMI, a soldier must have at least two symptoms across six categories that last at least six months. The categories include fatigue, mood and cognition, musculoskeletal, gastrointestinal, respiratory and neurologic symptoms. They may "overlap but are not fully captured by known syndromes" such as chronic fatigue, fibromyalgia or irritable bowel syndrome, the IOM panel said. "Veterans who have CMI often have physical symptoms such as fatigue, joint and muscle pain and gastrointestinal symptoms, and cognitive symptoms such as memory difficulties," it said. This may be the first time symptoms are linked to current Iraq and Afghanistan veterans. WASHINGTON -- Veterans of the wars in Iraq and Afghanistan may be suffering from the 20-year-old set of symptoms known as Gulf War Illness, according to a new report released Wednesday by the federal Institute of Medicine. "Preliminary data suggest that (chronic multisymptom illness) is occurring in veterans of the Iraq and Afghanistan wars as well," the report says. This may be the first time that the symptoms suffered by veterans of the 1991 Gulf War have been linked to veterans of the current wars, which started in 2001 and 2003, said Paul Rieckhoff, CEO of Iraq and Afghanistan Veterans of America. It also means the Department of Veterans Affairs' definition of who qualifies for Gulf War veterans' benefits should include those who served in Afghanistan, said Paul Sullivan, a 1991 Gulf War veteran and founder of Veterans for Common Sense. Because Wednesday's report associates the symptoms with deployment, Sullivan said, the VA "should expand the geographical definition of the current Gulf War to include the ongoing conflicts in Iraq and Afghanistan." The researchers were to investigate treatments for Gulf War illness, including any existing research, to see what worked for veterans. Their research included traumatic brain injury, which is caused by blunt force to the head or proximity to an explosion; post-traumatic stress disorder, which must involve exposure to trauma; respiratory problems, fibromyalgia and chronic pain. Chronic multisymptom illness was formerly called Gulf War Syndrome, the Institute of Medicine report said. It includes symptoms in at least two of six categories: fatigue, mood and cognition issues, musculoskeletal problems, gastrointestinal problems, respiratory difficulties and neurologic issues that last for at least six months. About one-third of Gulf War veterans -- or 175,000 to 250,000 people -- have Gulf War illness. The symptoms are too broad for any one treatment, the report said. "Based on the voluminous evidence we reviewed, our committee cannot recommend using one universal therapy to manage the health of veterans with chronic multisymptom illness, and we reject a 'one size fits all' treatment approach," said committee chair Bernard M. Rosof, chairman of the board of directors at Huntington Hospital in Huntington, N.Y., in a statement. "Instead, we endorse individualized health care management plans as the best approach for treating this very real, highly diverse condition." Researchers also said there may be no specific cause for the illness. "Despite considerable efforts by researchers in the United States and elsewhere, there is no consensus among physicians, researchers and others as to the cause of CMI," the report states. "There is a growing belief that no specific causal factor or agent will be identified." Anthony Hardie, a Gulf War veteran and advocate, disagreed. "They've lumped together so many ill people that it's impossible to come up with one treatment," Hardie said. Other recent research has shown possible causes for some of the symptoms suffered by Gulf War illness. A large-scale study done by Robert Haley, chief of epidemiology at the University of Texas Southwestern Medical Center in Dallas, showed veterans have damage to their autonomic nervous system caused by exposure to nerve agents after the U.S. Air Force bombed a chemical factory. Beatrice Golomb of the medical school at the University of California-San Diego tested the value of giving doses of the coenzyme Q10 to Gulf War veterans and found that "every single" veteran found improvement from 20 symptoms. For current war veterans, scientists have connected chronic obstructive pulmonary disorder and bronchiolitis to exposures in Iraq and Afghanistan, including to garbage pits that burned as much as 240 tons of waste in an open pit a day, as well as to dust proved to be laden with bacteria and heavy metals. Denise Nichols, also a Gulf War veteran and advocate, said she fears the report will add to Americans' belief that the symptoms are "all in our heads" -- even after numerous reports have come out saying the disease is physical and real. "We need true treatment modalities," Nichols said, "that address the physical brain damage and other body organ damage from the exposures we endured." RALEIGH, N.C. — Many more Marines and their relatives could be eligible for compensation for illnesses now that a federal agency determined that the water at North Carolina's Camp Lejeune was contaminated four years earlier than previously thought. In a letter to the Department of Veterans Affairs, the Agency for Toxic Substances and Disease Registry said computer modeling shows that drinking water in the residential Hadnot Point area was unsafe for human consumption as far back as 1953. President Barack Obama signed a law last year granting health care and screening to Marines and their dependents on the base between 1957 and 1987. "This is yet another piece of the puzzle that's coming together and slowly exposing the extent of the contamination at Camp Lejeune — and the Marine Corps' culpability and negligence," said Mike Partain, a Marine's son who was born at the southeast North Carolina base and who says he is one of at least 82 men diagnosed with breast cancer. "This is four years overdue." The Marines were slow to react after groundwater sampling first showed contamination on the base in the early 1980s. Some drinking water wells were closed in 1984 and 1985, after further testing confirmed contamination from leaking fuel tanks and an off-base dry cleaner. Health officials believe as many as 1 million people may have been exposed to tainted water. It's not clear how many Marines and family members will be affected by the expansion of the time line. Partain estimates thousands because the Hadnot Point water system supplied the barracks where the majority of the Marines lived, as well as the Naval Hospital, unmarried officer barracks and some family housing areas. "It is by far the largest exposed population on the base," Partain said. In a letter to Gen. Allison Hickey, VA undersecretary for benefits, the head of the toxic substance registry noted that a preliminary water modeling report showed that the period covered under the 2012 legislation didn't go back far enough, and that volatile organic compounds exceeded maximum contaminant levels at Hadnot Point as early as August 1953. "I hope this information is useful as the Department of Veterans Affairs evaluates claims from veterans who served at USMC Camp Lejeune prior to the release of our full water modeling report in the spring," agency Director Christopher J. Portier wrote in the letter, dated Wednesday. The letter was first released publicly during a meeting Thursday of the agency's community assistance panel at the disease registry headquarters in Atlanta. Former Marines and family members angrily questioned officials about why these studies have taken so long to complete. During the meeting Thursday, a VA representative said that the approval rate for claims related to the water contamination has been about 25 percent so far. As of September, the VA had granted 17 breast cancer claims and denied 13 others; not all were males. Marine Corps Capt. Kendra Motz said she got the disease registry letter Thursday and didn't have immediate comment. A VA spokesman said that agency was looking into the letter. Documents show that underground storage tanks at Hadnot Point may have leaked more than 1 million gallons of fuel, a much bigger concern than the off-base dry cleaners, said Partain. "This exposure had nothing to do with ABC cleaners and was the sole responsibility of the USMC," Partain said in an email. Former Master Sgt. Jerry Ensminger singled out the case of a Florida Marine who is dying of a rare case of male breast cancer, and whose claim the VA recently denied. "We've got veterans out there with life-ending diseases," said Ensminger, who blames the contamination for the leukemia that killed his 9-year-old daughter, Janey, in 1985. "These people are terminal, and they need this information." That veteran, Tom Gervasi, 76, had his left breast removed in 2003. His service at Camp Lejeune ended six months before the cutoff date. The VA has denied his cancer claim twice. He learned of the most recent rejection on Wednesday in a call from U.S. Sen. Marco Rubio's office. Gervasi's doctors have given him at most three years to live. He would like his wife, Elaine, to have VA benefits when he is gone. "Hopefully, this will work in my favor," Gervasi said in a telephone interview Friday from his home in Sarasota. "I don't know. It's sort of like fighting city hall, so to speak. When you're fighting the federal government, you're not always going to win. Very seldom you're going to win." "It is my hope that VA will act quickly to amend their policy and review relevant disability claims that have been denied," U.S. Sen. Richard Burr said in a statement. "These men and women have been suffering through no fault of their own and we owe them the care they need without delay." Ensminger told the group that a fellow Marine had succumbed the day before to kidney cancer, one of the diseases linked to the Lejeune contamination. "I know you all deal with facts and figures; I deal with the personal aspect of this," he said. "You get to know these people. You cry with them, and every one of them that dies, you die a little bit each time with them. And it's just not fun." 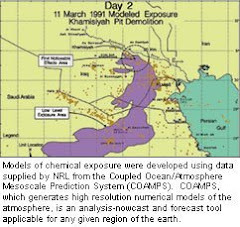 Senate Hearing on Haley's Gulf War Plume Research ? Former Texas Republican Sen. Kay Bailey Hutchison has reached across the political aisle about as far as she can, praising Bernie Sanders, the only socialist in the U.S. Senate, for his support of veterans who returned from the 1990-1991 Persian Gulf War with mysterious ailments. Hutchison made the comments at a tribute honoring her contributions to The Academy of Medicine, Engineering and Science of Texas, a nonprofit organization that works to further the state’s position as a “national research leader.” Hutchison is a co-founder and the honorary chair of the academy. The private event was held at the Perot Museum of Nature and Science Wednesday night. Hutchison also lauded research by University of Texas-Southwestern Medical Center at Dallas epidemiologist Robert Haley, which determined that symptoms experienced by Gulf War veterans were caused by physical ailments and not stress. Haley endured considerable pushback from many in the medical community and the Department of Veterans Affairs. Hutchison was an early and outspoken supporter of Haley’s work. Hutchison also praised Sanders for his support of ailing Gulf War veterans, which dated back to his tenure as a U.S. representative. Sanders now serves as chairman of the Senate Committee on Veterans’ Affairs. And Haley is the holder of the U.S. Armed Forces Veterans Distinguished Chair for Medical Research, Honoring America’s Gulf War Veterans at UT-Southwestern. Hutchison said that Sanders wants Haley to testify about some recent findings, which have identified a plume containing toxic chemicals and nerve agents from bombed storage facilities in the Baghdad area as the apparent source of the veterans’ ailments. Mark Rankin / U.S. Army file A bulldozer dumps a load of trash into a burn pit just 300 yards from the runway at Bagram Airfield. A law signed by President Barack Obama will create a registry of U.S. service members who may have been sickened or killed by burn pits used throughout Iraq and Afghanistan. An American flag dangles from the Torres home, the sign of a long battle won: a new law — signed Thursday by President Barack Obama — creating a registry of U.S. service members perhaps sickened or killed by burn pits used throughout Iraq and Afghanistan to destroy waste ranging from batteries to body parts. But amid occasional smiles over the first step to formally identify the toxic effects of what’s called “this generation’s Agent Orange,” there were tears, too, in that house near Corpus Christi, Texas. Resident Le RoyTorres, 40, a former Army captain, is one of the ill veterans who will land on that list. “It was a big victory. It justifies the need for health care. And now we know we’re not alone,” said Rosie Lopez-Torres, Le Roy’s wife, who said she “knocked on a lot of doors” in Congressional hallways to push the bill, which passed Dec. 30. The law requires the U.S. Department of Veterans Affairs to assemble the registry and report back to Congress. After a lung biopsy, Le Roy Torres was diagnosed in 2010 with constrictive bronchiolitis, an irreversible disease that squeezes off airways. In 2007 and 2008, he was stationed in Balad, Iraq — home to what may have been largest military burn pit — the size of 10 football fields. Torres, for a time, performed his daily calisthenics near the dark plumes emitted by the smoldering crater. Forced by breathing problems to later retire from his post-Army job as a highway patrolman, Torres is one of thousands of veterans who have filed more than 50 lawsuits against defense contractors hired to handle waste management in the war zones. The Motley Rice law firm is representing Torres and other veterans and their survivors in one of those class-action suits. Attorneys allege the contractors — including KBR, Inc. and its former parent company, Halliburton — mismanaged the burns and exposed American troops to poison fumes. Last July, KBR’s lawyers argued that 55 such cases should be dismissed, in part because employees from the Houston-based company served “shoulder-to-shoulder” with service members, which should grant KBR the same immunity given to government entities and personnel, such as soldiers. Service members, however, have complained for a decade that burn pits scattered across Iraq and Afghanistan were making them sick with cancers and other diseases, and were killing some young troops. In 2007, Army and Air Force health inspectors went to Balad and measured airborne, cancer-causing dioxins at 51 times the “acceptable levels.” They determined the cancer risk for people serving at the base for more than one year was eight times higher than normal. In 2008, the Military Times reported that single burn pit might have exposed tens of thousands of troops to dioxins and toxins such as arsenic. What has been the health toll on U.S. troops? That’s what the new registry is designed to calculate, said Paul Rieckhoff, founder and chief executive officer of Iraq and Afghanistan Veterans of America, a group representing more than 200,000 former service members. The smoking landfills typically contained damaged Humvees, unexploded ordnance, gas cans, mattresses, rocket pods, plastics, medical waste and amputated body parts, and they often were ignited by jet fuel. The act does not mandate new VA benefits for veterans who chronically inhaled the vapors, Rieckhoff said. But the registry is expected to help private and government doctors document health conditions potentially related to burn pits, and perhaps hasten many diagnoses. Le Roy Torres, for example, has been given a 10 percent disability rating by the VA, said his wife, who calls that ruling “a joke” because “he served for 22 years, lost his childhood dreams, his career, just turned 40 and is unable to work because of his lung disease which also has affected his heart.” The Torres family is fighting the VA for a higher disability rating and, thus, higher compensation for his service-related symptoms. Before the lawsuits and the law, a handful of military families launched their own, online registries for service members, veterans and their survivors so they could report their symptoms and mark how closely they had served to one or several of the burn pits. As Le Roy Torres struggled harder to breathe, he and his wife launched BurnPits360.org. The site lists 11 service members who descended from full health to terminal cancer after serving near a burn pit. That roll includes Air Force Sgt. Jessica Sweet, who died of acute myeloid leukemia (AML) in 2009 at age 30. She served in Afghanistan. Also listed is Army Staff Sgt. Steven Ochs, who died from AML in 2008 at age 32. He served in both Afghanistan and Iraq. One of the registry's primary goals is to determine if there are tangible links between the deaths of service members like Sweet and Ochs and their exposure to the burn pits. “How many have been affected? Every week I get an email from someone who has passed,” Rosie Lopez-Torres said. “We started our registry because we weren’t going to wait on the Department of Defense and VA. Our list of people who have self reported their data — whether it’s the loved one of a fallen hero who lost the battle with toxic exposure, or someone who is fighting the battle — is well over 1,000 people. They are from all over the country.